This chapter provides a fundamental yet comprehensive coverage of quality management. Bringing managers and engineers the most up-to-date quality management tools, research, and theory, this chapter shows readers how to plan for quality and achieve quality control. Broad in scope and inclusive in methodology, the material covered in this chapter will be useful for anyone concerned with quality management and control in business and industry. Topics covered include planning and organizing for quality, total quality management, quality improvement, statistical quality control, and ISO 9000. The chapter begins with an introduction to the concept of quality. Next, the quality management philosophies developed by Deming, Juran, and Crosby are presented. The principles of total quality management (TQM) are described next. The major steps in planning and organizing for quality are addressed in this chapter. Next, the quality improvement process, approaches to problem solving, and tools for quality improvement are presented. The concepts and techniques of statistical quality control are also covered in this chapter. Finally, the ISO 9000 and ISO 14000 quality standards are described. Product design and design methodologies have a direct impact on the quality of the product. The design process historically has been implemented in isolation from other functions of the enterprise such as manufacturing, sales, etc. There are some disadvantages in this form of implementation in terms of longer cycle time, higher costs, and products designs not being optimal. For instance, due to the sequential nature of traditional design practices, the manufacturing engineers do not have a voice in the conceptualization phase where as much as 90% of the production cost may have already been specified (Chang, Wysk, & Wang, 1998). Companies are challenged to increase their product quality and shorten the lead time for developing new products, while lowering their production costs, all of which are rooted in the quality and timeliness of the design solutions (Suh, 2001). Singh (1996) states that several studies have suggested that most of a product’s cost become fixed in its early life cycle stage before the original design cycle is completed. A typical characteristic curve that indicates the cost incurred and committed during the product life cycle is shown in Figure 1 (Singh, 1996, p. 106). As seen in Figure 1, the majority of the product development cost occurs in the conceptual and detailed design phase. Also, the overall design change is easier in the earlier phases. Total Quality Management (TQM): The application of quantitative methods and human resources to improve all the processes within an organization to meet and/or exceed customer needs now and in the future. Cost Considerations: The money and resources required to finish the project. This includes equipment, people, and materials. Usually, the customer wants the project at the lowest cost possible. Plus, the budget for the project is approved based on the scope and schedule. Quality: Excellent performance of a product or service. Project Review: Project milestones meetings that are scheduled to review and assess the general status and health of an ongoing project and to offer get well plans as appropriate. Quality Assurance: The application of a series of systematic planned activities to insure that the project will use all the necessary processes to meet requirement. Project Management: Project management is carefully planned, organized effort to manage the resources in order to successfully accomplish specific project goals and objectives. Project management covers the entire life cycle of a project right from the feasibility study of the project, project planning, implementation, evaluation, support, and maintenance of the project. 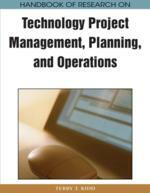 Each phases of the project is a vast topic within project management. The topic of interest here is the quality assurance in project management. Project Quality Management: All the activities of an organization that determine quality objectives, policy, and responsibilities so the project will satisfy the needs for which it was defined.